Financial Intimacy | New Growth Hair Magazine | We capture the culture of urban barbershops and beauty salons. Intimacy refers to a known emotional connection between two people that produces a feeling of oneness. Usually a bond is formed between the two based on their knowledge and experience with each other. Genuine intimacy in human relationships requires effective communication, openness, authenticity, and reciprocity. When two people become intimate with one another, they feel comfortable sharing very private details about themselves. Generally when you hear people discussing intimacy, they are referring to physical intimacy or the act of love making. But very rarely do you hear people discuss financial intimacy. Financial Intimacy involves effective communication about one’s outlook on personal finances, openness about financial transactions, and being authentic about your financial past. Falling in love is pretty easy and making love isn’t that difficult either. But the sharing of intimate financial details is quite challenging. Just ask some of your married friends who argue about money on a regular basis. Before making the decision to merge or share resources with another person, detailed conversations about views on money and financial plans should be discussed. Each person needs to fully understand how the other thinks about spending, saving, and investing money. Discussions about financial “wants” versus financial “needs” are required. It’s very important to find out what your mate’s parents taught them about money management. Find out how each of you viewed and handle money during childhood and teenage years. The financial education that people receive during childhood and teenage years has a major impact on their money management skills as an adult. Openness means you share your short-term and long-term financial plans with your mate. Openness means you don’t go out a big a new car and hide it at your best friend’s house or you don’t tell your wife that you purchased season tickets to the Charlotte Bobcats after the 20th home game. The goal of openness is to create an environment where both people feel comfortable sharing their plans. Hopefully, you all can develop ways to team up and help each other meet both of your short-term and long-term goals. Sometimes my clients tell me that their spouse didn’t communicate about their unfiled taxes, unpaid taxes, default on student loans, unpaid child support, bankruptcy filing, or poor credit history. 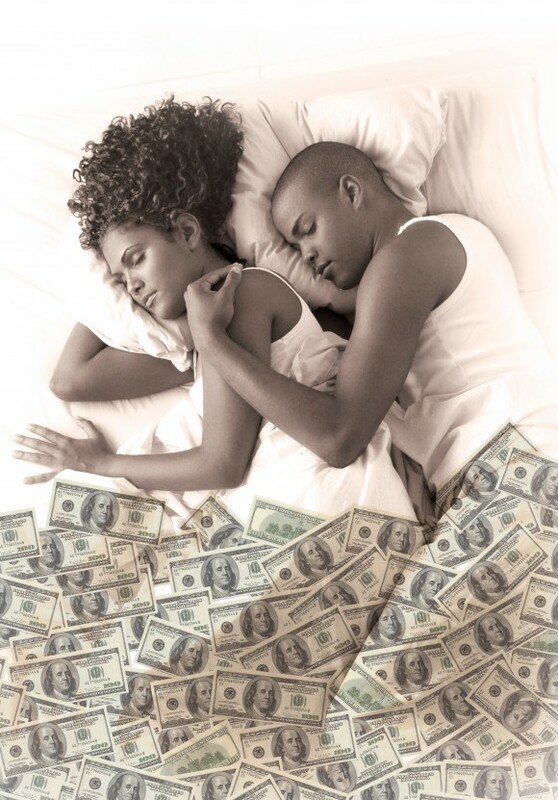 Don’t hide who you are when it comes to money because eventually your significant other will find out. When you withhold key information, you lie to your mate through omission. Also, failing to communicate about your financial past creates mistrust and destroys financial intimacy. The truth is that most people have experienced some type of financial challenges. So the goal is to work toward creating an environment where both people feel comfortable communicating about their past financial dealings. Communication is the key to being Authentic. Since the economic downturn of 2008, many couples (married or unmarried) have separated or divorced due to financial issues. On the surface, money appears to be the problem but really it’s only a symptom of the problem. Most couples are eager to engage in physical intimacy and others work toward creating emotional intimacy. But most fail when it comes to financial intimacy. If you want to increase the lifespan of your relationship, consider adding financial intimacy to your relationship.